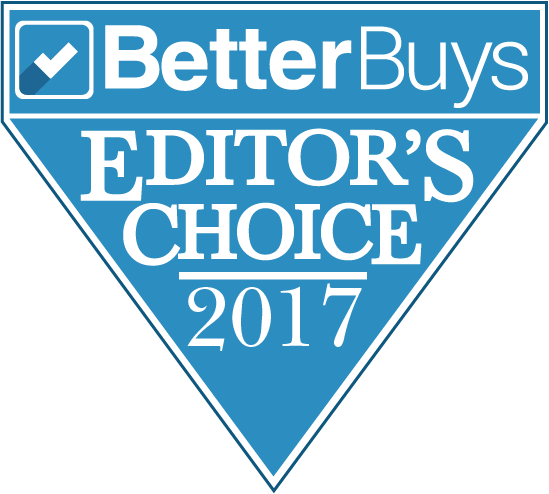 Toshiba America Business Solutions' e-STUDIO™4508LP, the world's first hybrid copier capable of producing erasable as well as standard monochrome prints, earned Better Buys Q3 2017 Editor's Choice Award. The industry's first-of-its-kind product received the coveted honor by outperforming a wide array of other monochrome copiers in side-by-side comparisons. Better Buys editors were especially impressed by the e-STUDIO4508LP's eco and cost-savings elements as well as the product's erasable toner. Featuring Toshiba's proprietary erasable toner, the e-STUDIO™4508LP enables paper reuse by erasing all printed content on the page. Content produced using the hybrid copier's erasable toner is erased by simply loading pages into a designated cassette or the bypass tray and pressing the Erase button on the e-STUDIO4508LP's front panel. The product's rules-based printing setting is another eco-conscious element engineered within Toshiba's hybrid copier. This feature enables users to select toner setting defaults based on the application. As a result, temporary items, such as emails, may be designated to print in erasable toner to conserve paper while more permanent documents such as those printed from Microsoft Word may be assigned to print in standard monochrome toner. "The Toshiba team is excited about our hybrid copier's selection as Better Buys Q3 2017 Editor's Choice," said Bill Melo, Toshiba America Business Solutions chief marketing executive. "Our game changing e-STUDIO4508LP copier is already resonating with customers looking to operate in a more sustainable manner." Toshiba America Business Solutions (TABS) provides multifunction printers, managed document services and digital signage for businesses of all sizes throughout the United States, Mexico, and Central and South America. TABS’ Ellumina™ digital signage offering includes all of the hardware, software and services needed to implement dynamic and interactive digital signage installations. TABS provides content creation and management, displays, integration, installation and project management services as well as financing for solutions ranging from a single screen to the biggest arenas and stadiums.TABS comprises five divisions: the Electronic Imaging Division; the Toner Products Division; the Document Solutions Engineering Division; the International Division; and Toshiba Business Solutions.